We are proud to announce that Dr. Marcus was named one of the top doctors of 2019 by Los Angeles Magazine! On an episode of The Doctors, Dr. Marcus goes behind the scenes and breaks down what happens during a hernia surgery. LA Kings Coach Darryl Sutter recovers from a double hernia surgery in less than a week, cleared to get back in the ring for training thanks to Dr. Marcus performing surgery with the Da Vinci Robot system. Marina del Rey Hospital Provides Dr. Marcus with the ability to provide latest, cutting-edge technology. 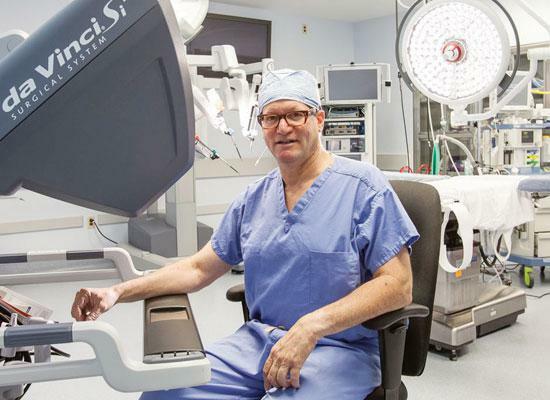 Dr. Marcus discusses robotic surgery in this article published by The Argonaut on July 31, 2013 here. Watch Tommy "Tiny" Lister vouch for Dr. Marcus "knocking out" a severe blood infection.